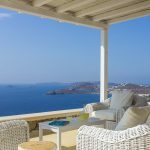 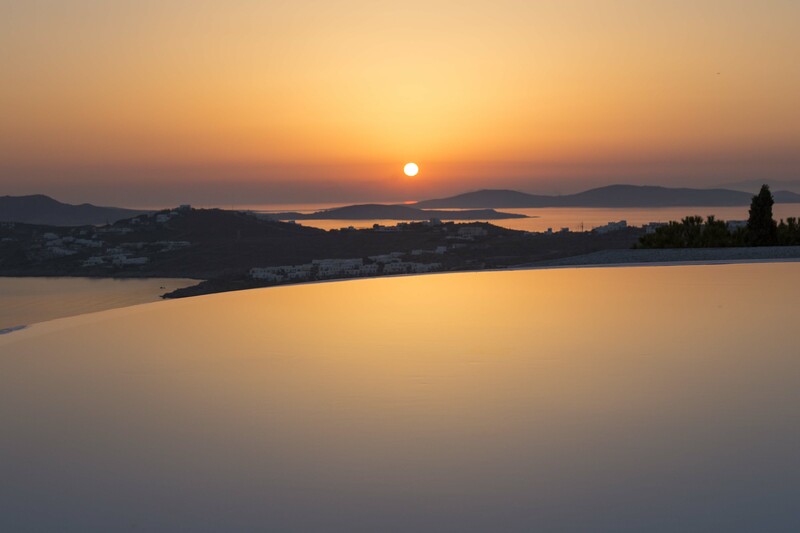 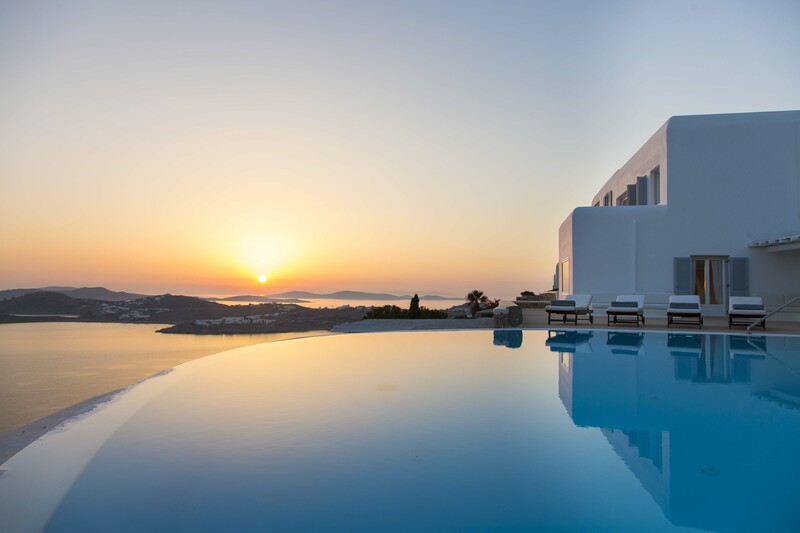 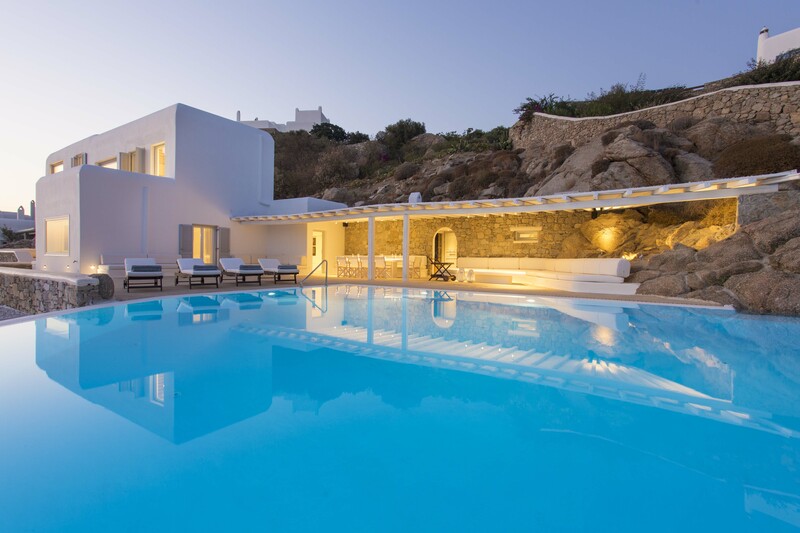 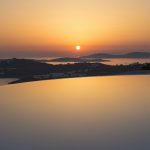 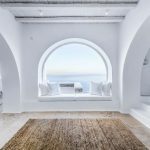 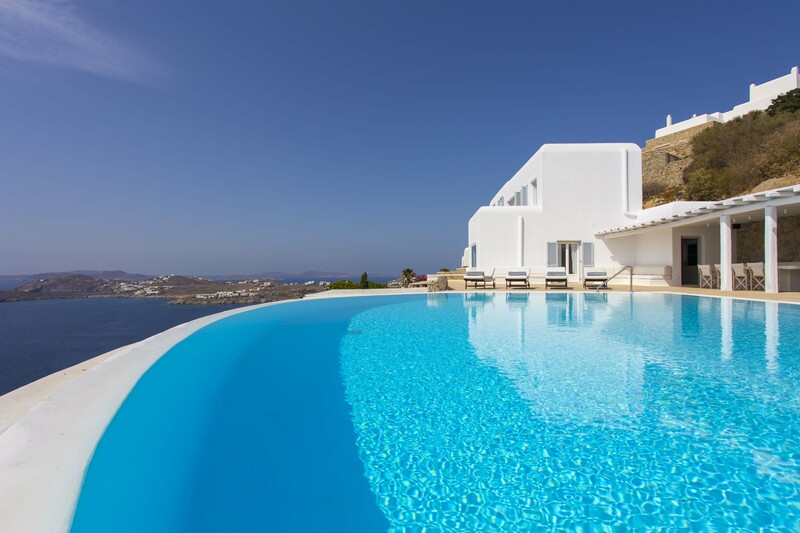 Enjoy an enchanting and unforgettable stay at Villa Kaylie, a unique luxury villa in Mykonos. 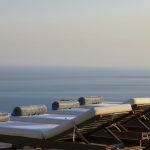 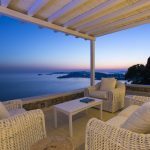 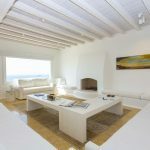 Boasting an incredible elevated location and uncompromising style and elegance, this seven-bedroom villa can sleep up to fourteen guests comfortably. 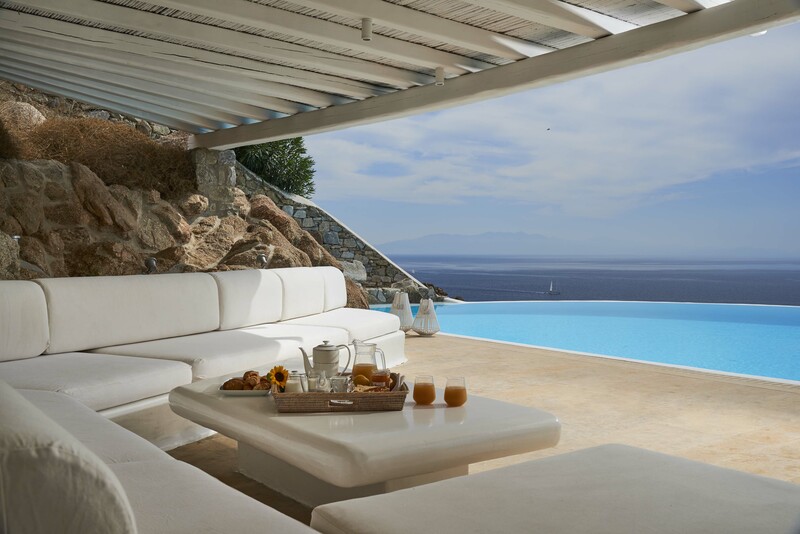 The villa is sure to impress from first glance, with its sleek contemporary lines that blend in with its stunning surroundings. 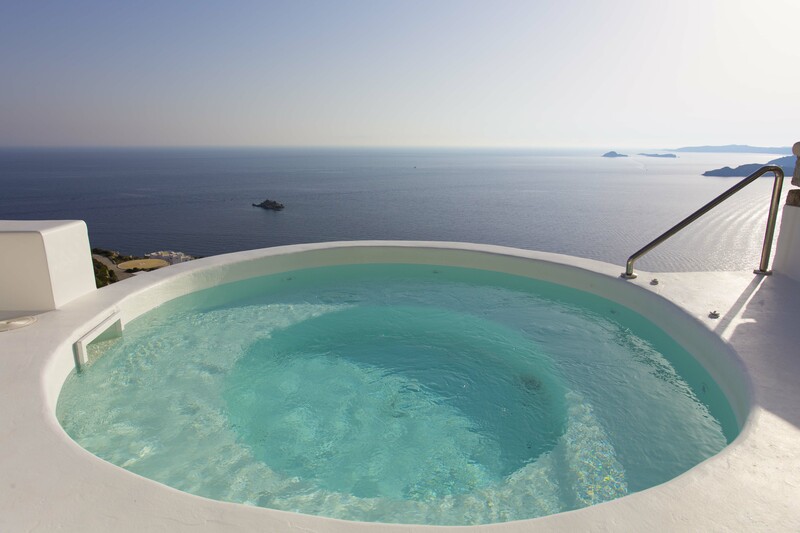 Located on one of the highest points of the island, meaning it floats above the land and ocean, offering enchanting views. 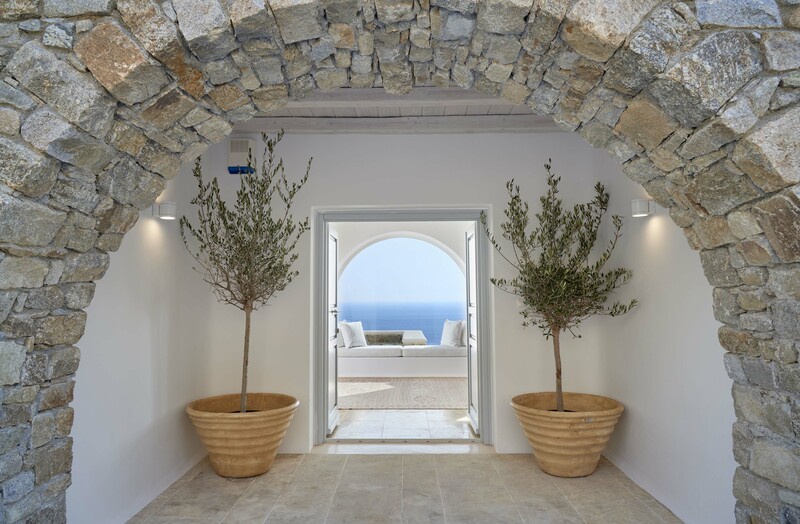 Step inside the villa to find an elegant yet inviting space, ideal for spending time with friends and family or for entertaining. 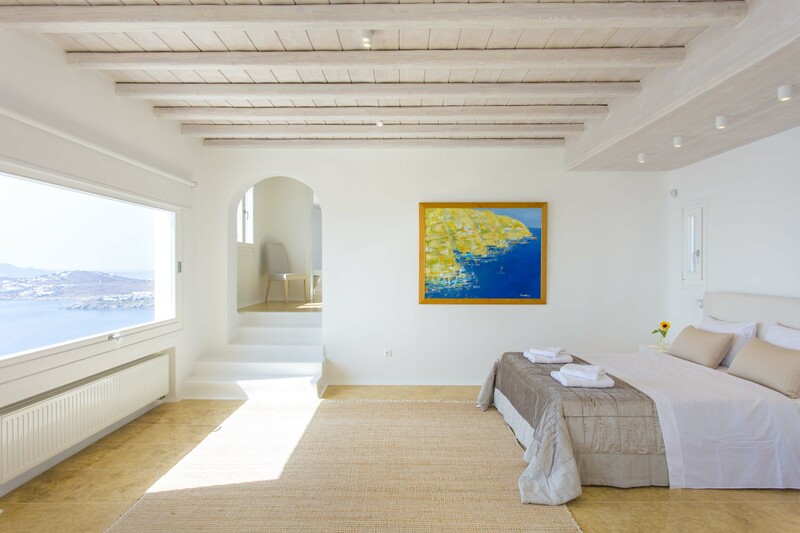 Soft furnishings and neutral tones add to the overall light and airy feel of the Mykonos villa. 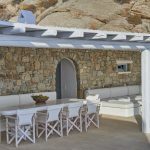 Much of the building material has been sourced locally, giving the villa a natural and warm feel. 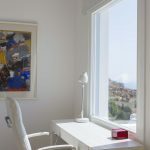 There are a number of shared spaces for spending time together, including an open plan living and dining area with a double lounge room and beautiful formal dining area. 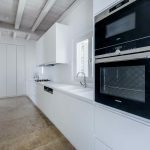 There is also a separate full-size kitchen. 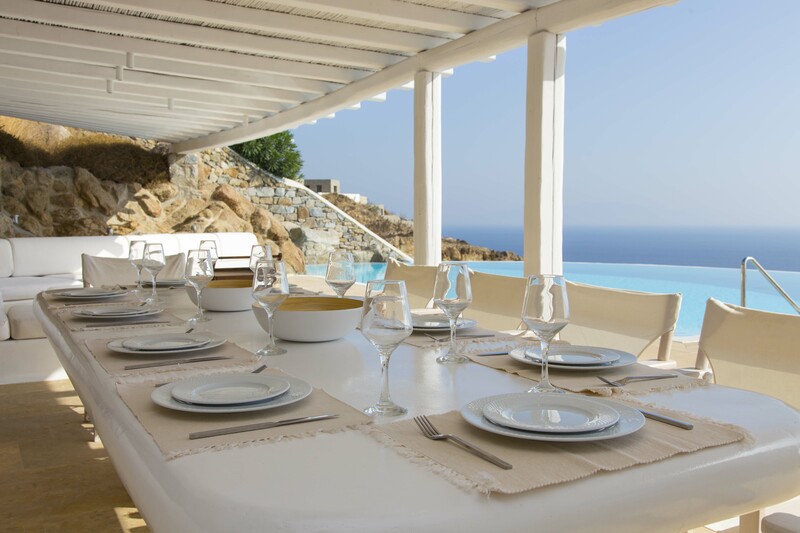 Of course, you’re likely to be tempted to eat outside, with a number of alfresco dining spaces. 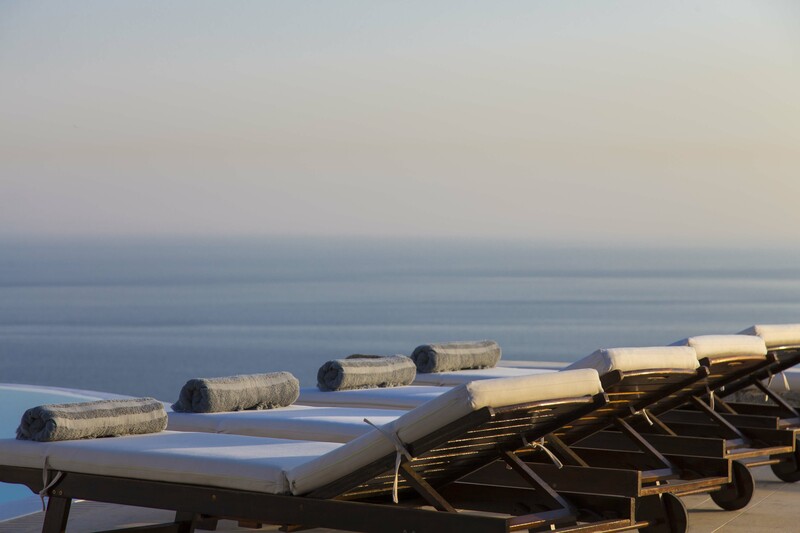 The main dining area is on the pool deck, overlooking the glistening infinity pool and breathtaking sea views. 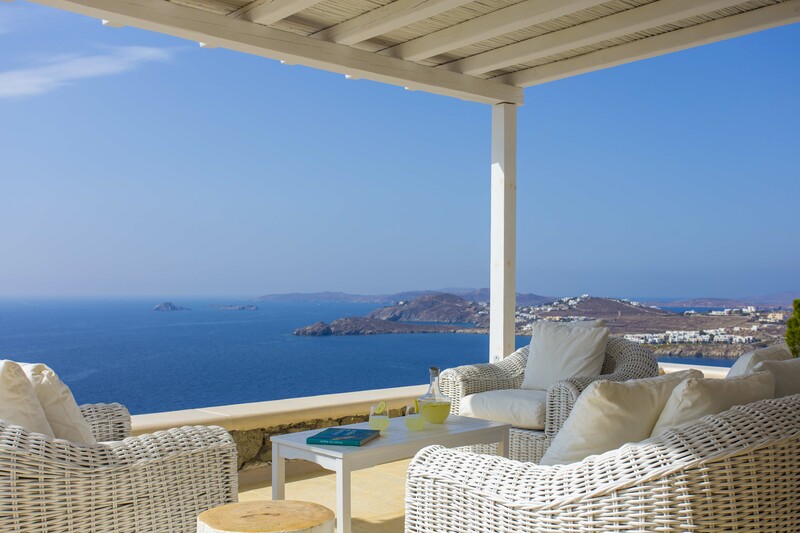 It is an entertainer’s delight, with ample room for hosting guests amongst the decking. 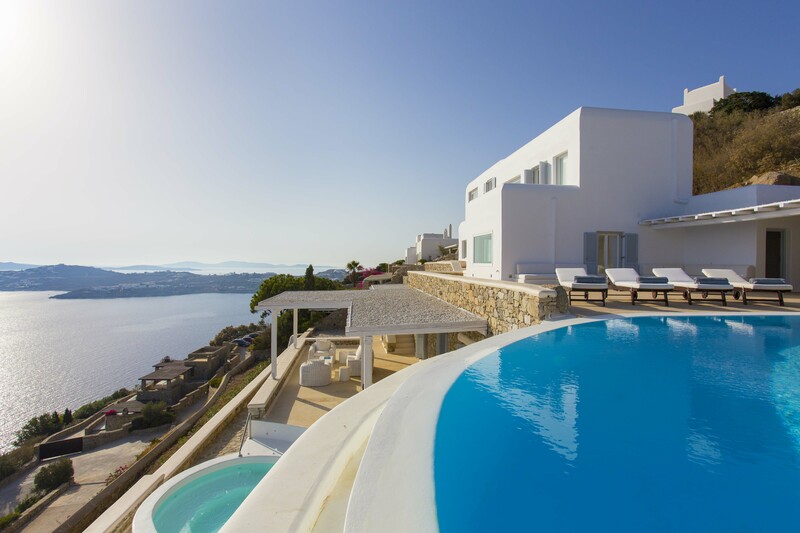 You’ll also find a barbecue, as well as hammock and sun beds. 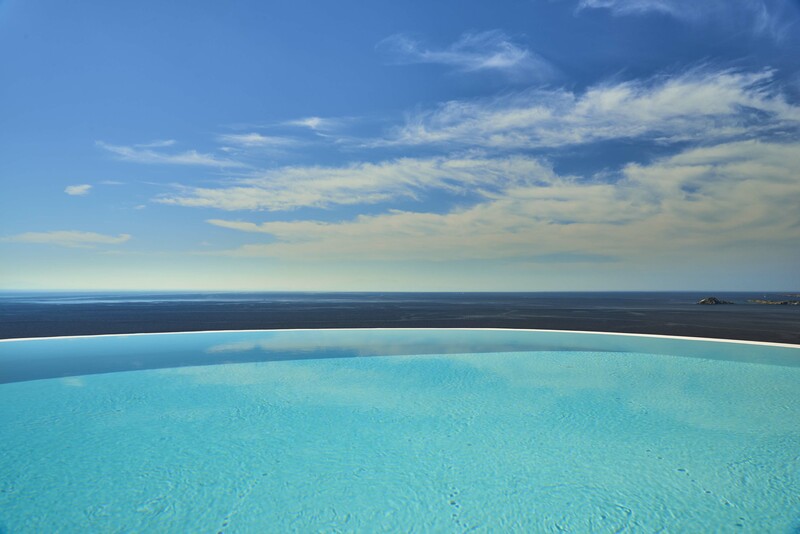 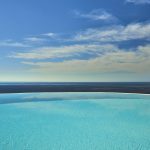 Perhaps the jewel in the crown of the expansive exterior is the 90 square metre infinity pool. 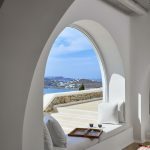 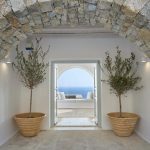 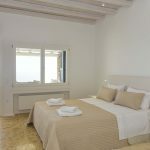 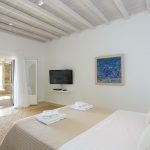 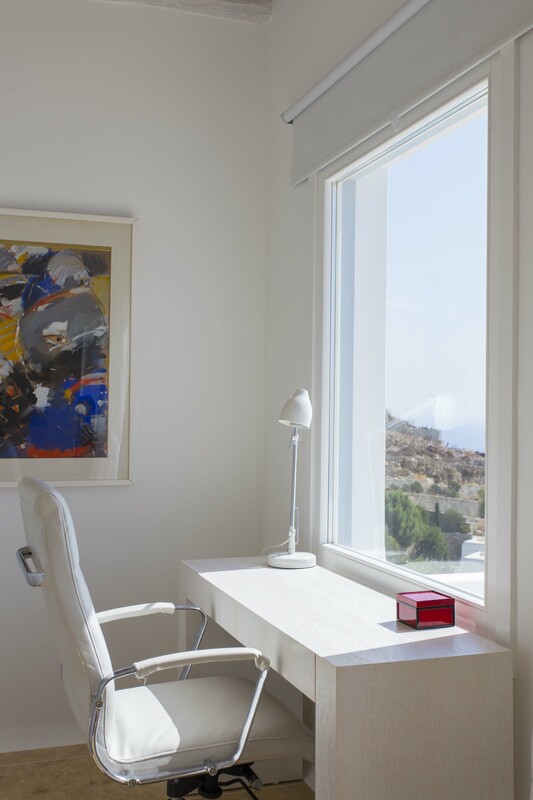 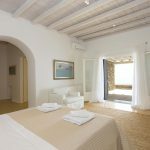 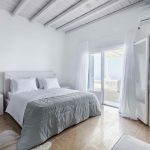 After each day in beautiful Mykonos, retreat back to the bedrooms of Villa Kaylie, which are each little oases of calm. 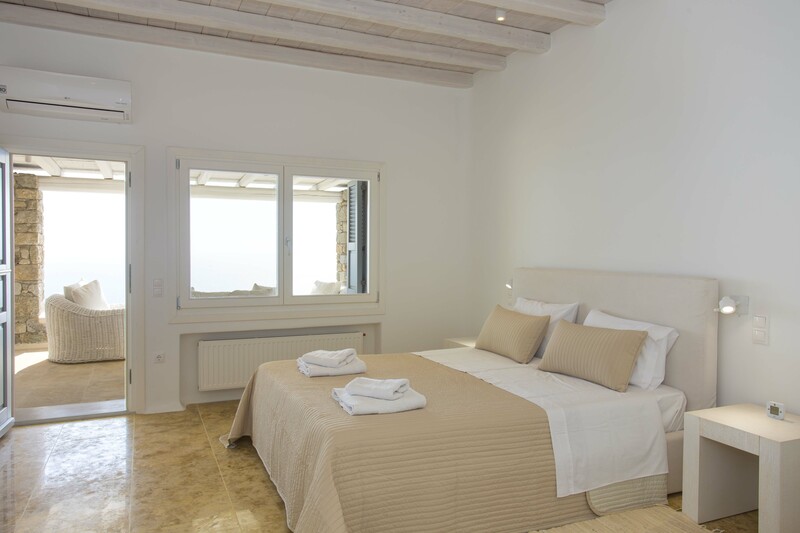 With light, natural tones and soft linens, each one is contemporary and romantic – perfect for enjoying a calm and rejuvenating night’s sleep. 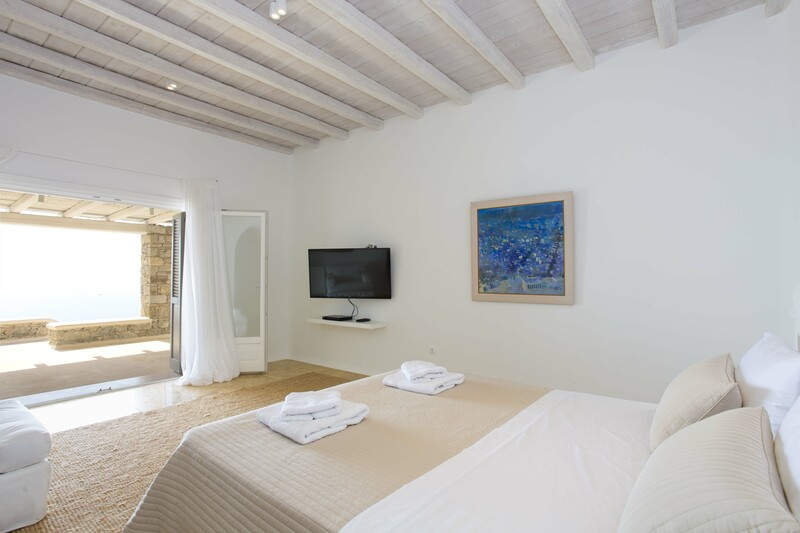 Two of the bedrooms are spacious and considered masters, while the other five are also spacious and well-appointed. 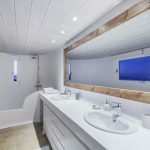 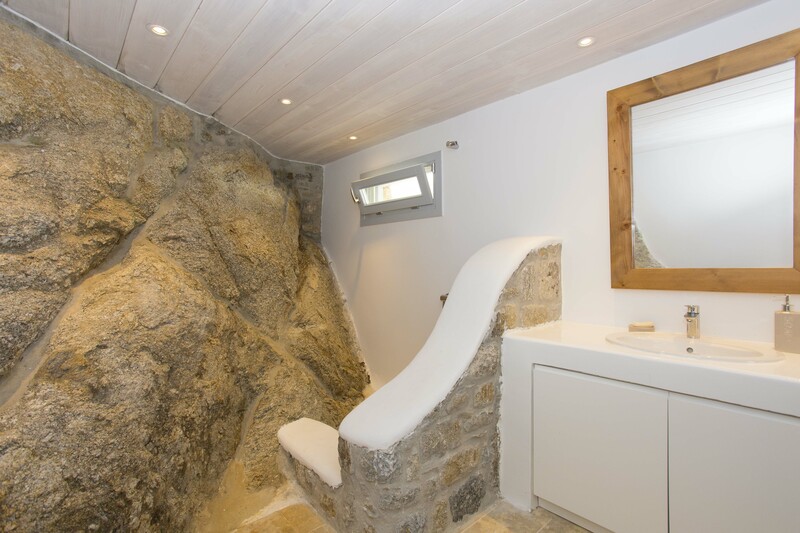 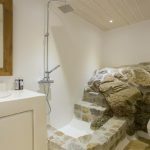 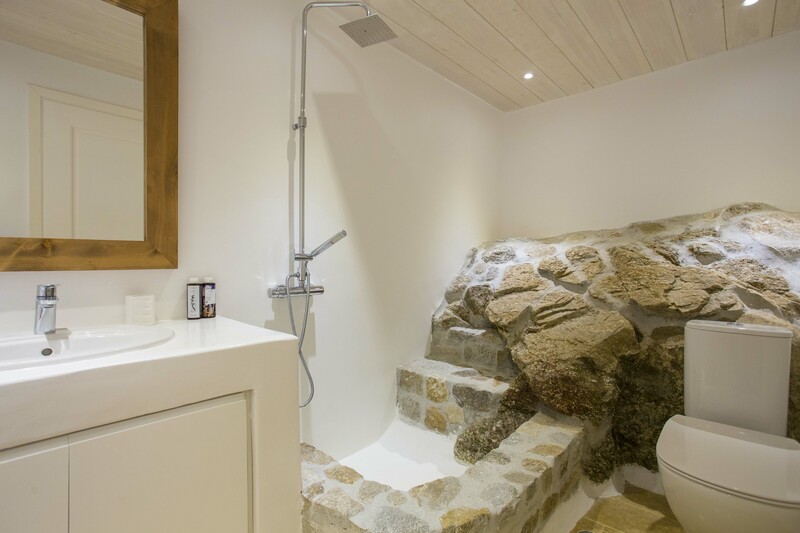 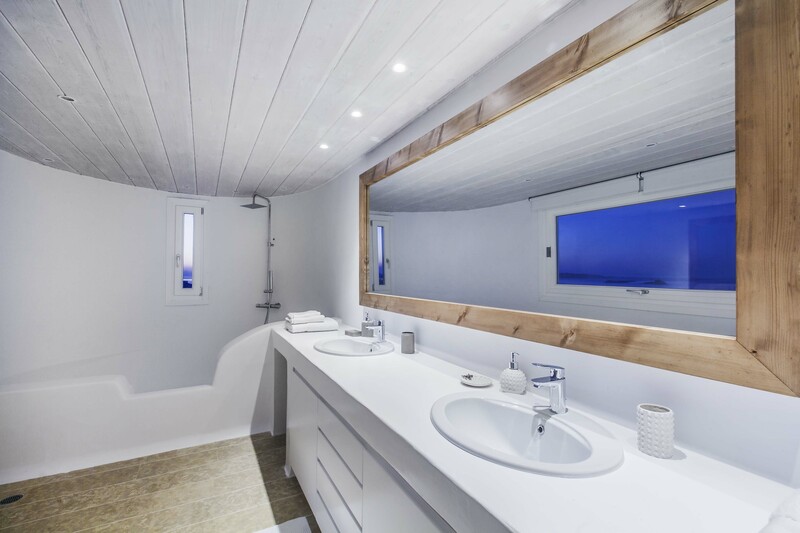 Each has its own ensuite bathroom for your privacy and convenience. 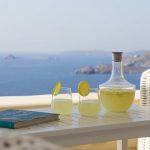 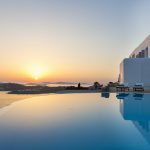 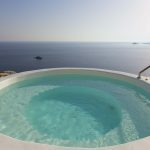 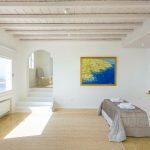 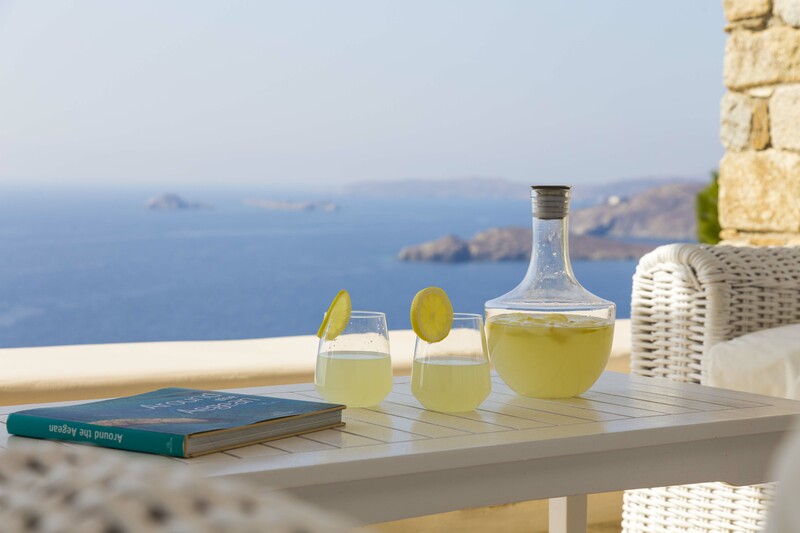 The villa enjoys an enviable location in a sought-after part of Mykonos, within easy reach of the ocean and many amenities. 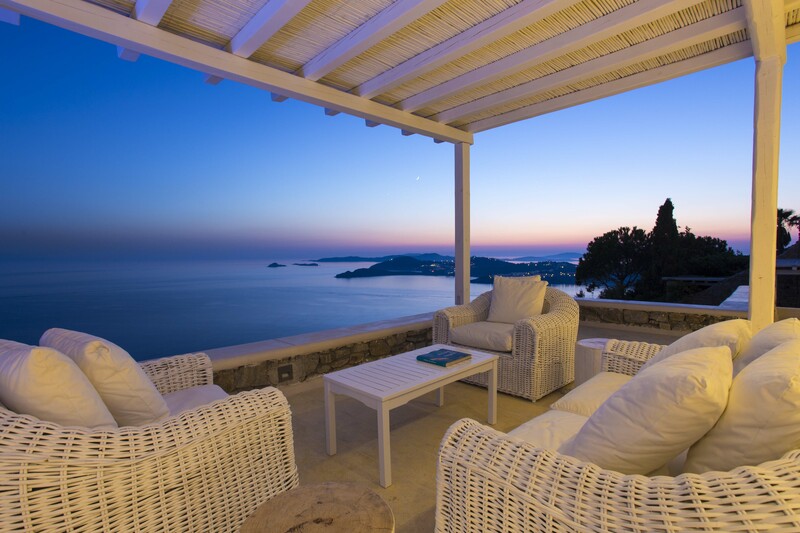 For your peace of mind, there is a state-of-the-art security system and parking for up to six vehicles at the villa.